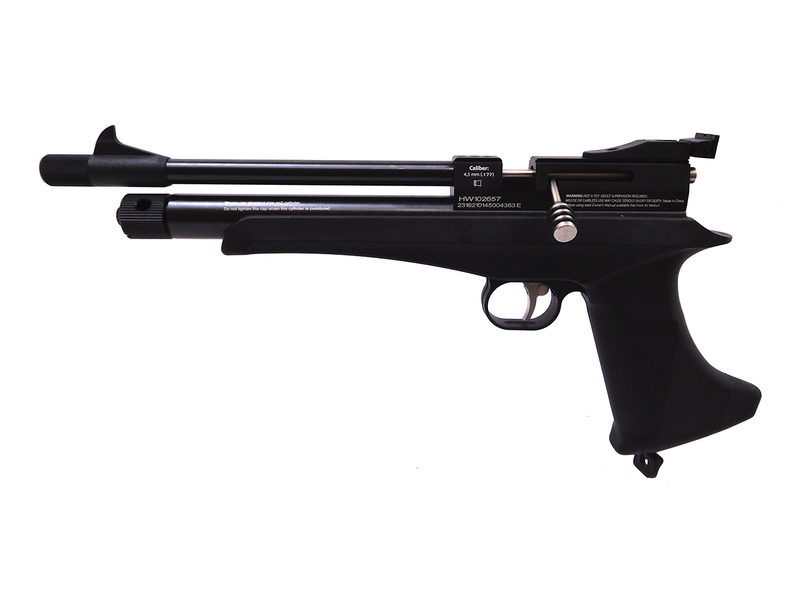 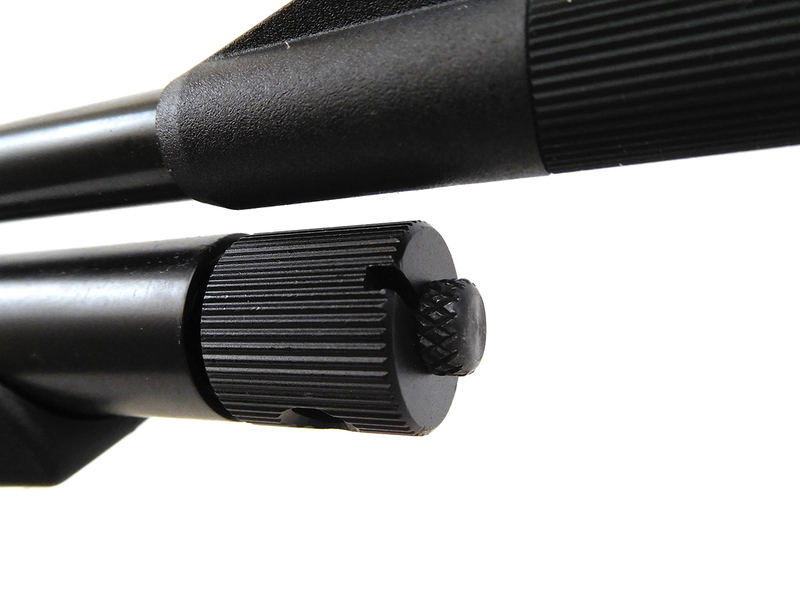 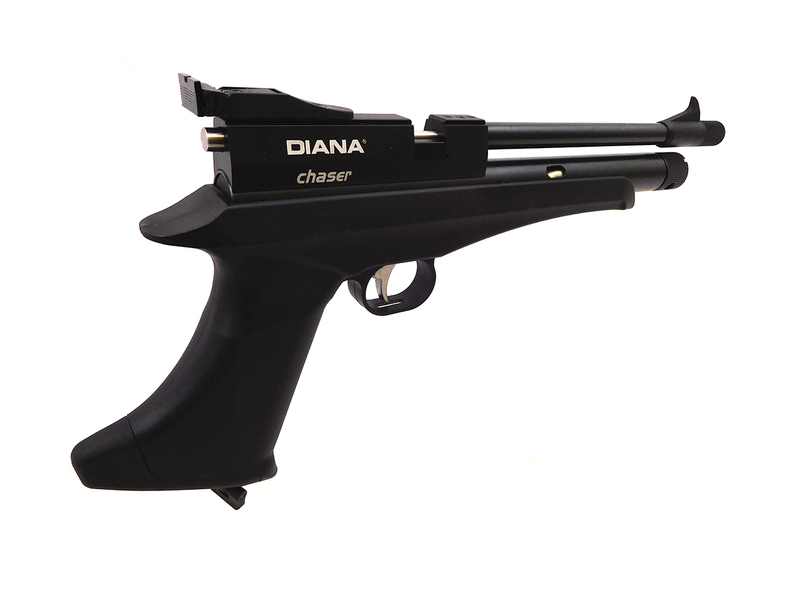 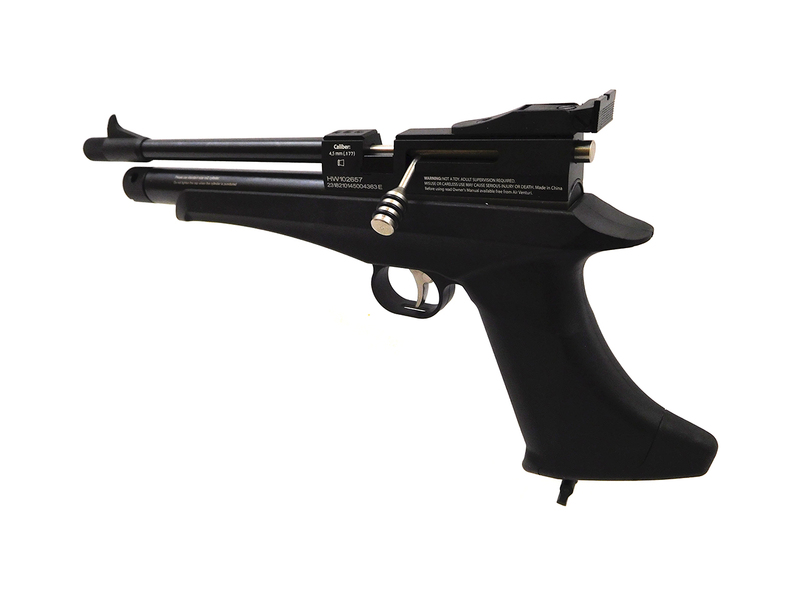 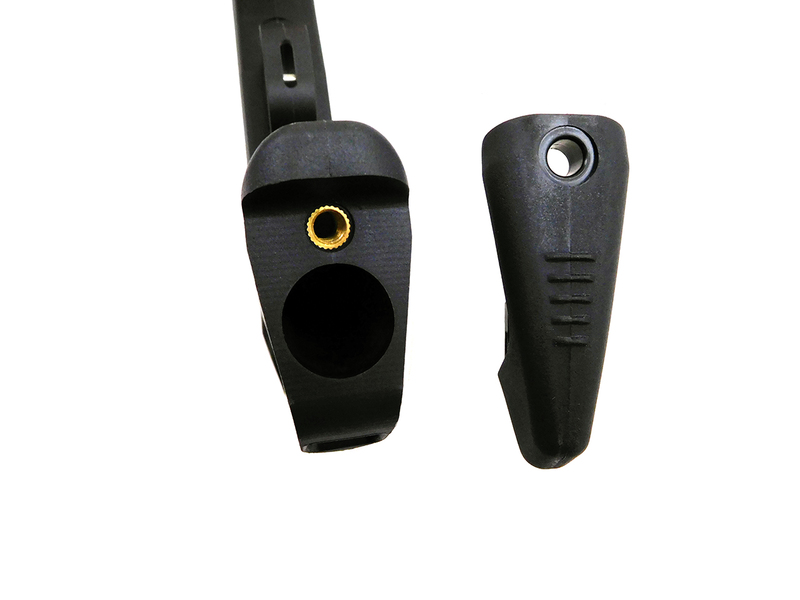 The Diana Chaser is a bolt action CO2 pellet pistol with synthetic grip and blued finish. 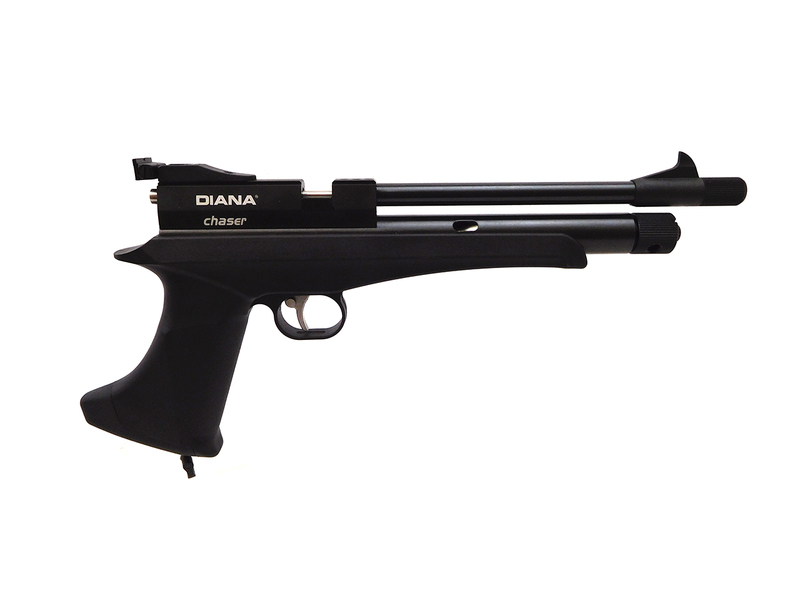 Optics include a blade front sight, adjustable rear sights, and 11mm dovetail scope rails. 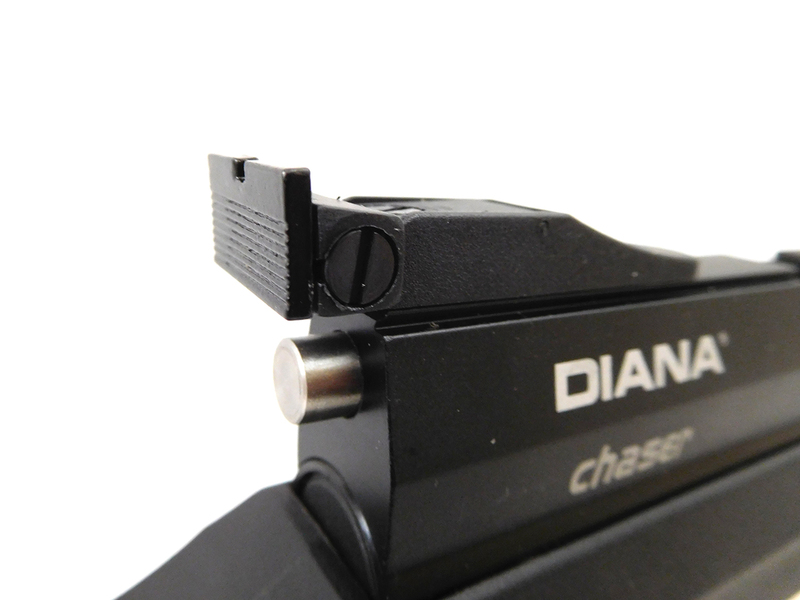 Included is a single shot tray, but these are compatible with the Diana Stormrider rotating magazine. 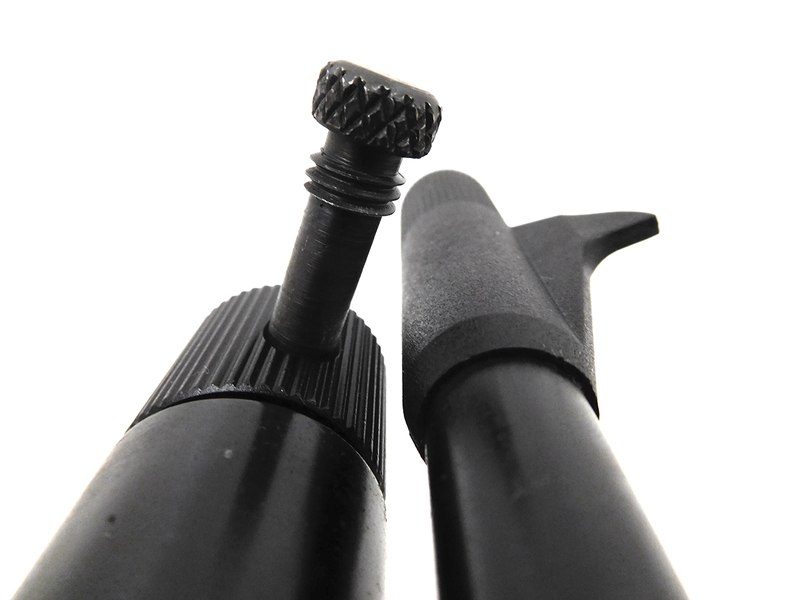 There’s also a bleeder port in the CO2 tube with a tool in the CO2 cap, and a storage area for an extra CO2 cartridge in the grip.